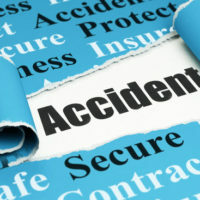 When a person files a personal injury claim, he or she has the burden of proving that the other party acted negligently and that his or her negligence caused the incident. That said, the term “negligence” conveys a degree of miss-care. When a person’s actions seem almost deliberate, the courts may decide that his or her conduct was “willful and wanton.” A person found guilty of willful and wanton misconduct intends his or her actions but does not anticipate that said actions will result in harm. As mentioned above, for the courts to consider an act willful, wanton, or both, the person must have acted with intention. This also includes an act that is committed under circumstances that exhibit a reckless disregard for the safety of others. For instance, when a person recognizes an impending danger but fails to act with reasonable care to prevent said danger from occurring, the courts may deem his or her actions or inactions as wanton and willful. Another court defined willful and wanton conduct as action intentionally but with disregard for others’ safety, or acting with a reckless indifference of the repercussions. If a plaintiff can prove that the defendant was aware of his or her actions and knew, either through previous experience or general knowledge, that his or her actions would likely result in injury, the courts may establish the defendant’s conduct as willful and wanton. Finally, the courts may determine that a person’s actions or actions were willful or wanton if the plaintiff can show that the defendant acted with actual or deliberate intention to cause harm. If the defendant’s actions were indifferent, the plaintiff must somehow prove that the defendant also showed indifference for his or her own safety as well. If a person gets behind the wheel of a vehicle after having a single beer and causes a car accident regardless of his or her sober state, the state may determine that he or she was negligent but not willful or wanton. However, if that same person had three mixed drinks before getting behind the wheel of a vehicle and causes an accident, the courts may determine his or her actions were exceptionally reckless as he or she should have known that driving intoxicated would lead to an accident. Another example of willful and wanton conduct would be if a truck breaks down in the middle of the night and the driver fails to put out safety warnings informing oncoming traffic that a semi-truck sits stalled in the middle of the road ahead. In this instance, the driver was aware that his or her inactions could cause an accident but failed to take an appropriate action regardless. If the defendant in your personal injury case was particularly negligent, you may want to pursue a case of willful and wanton misconduct. However, doing so requires the persuasion and knowledge of an experienced personal injury lawyer in Miami. We have such lawyers at Spencer Morgan Law. Contact our law firm today to learn more about how we can help boost your personal injury case recovery.